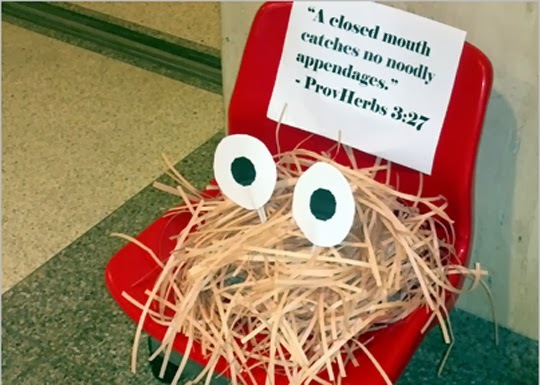 Faith on Trial Radio: Is this the new face of God? A satanic group from New York has submitted an application to place a 7-foot tall statue of Satan in the Oklahoma State Capitol. The group argues that the Oklahoma Legislature’s action to authorize a privately funded monument to the Ten Commandments. The Ten Commandments monument was placed on the steps of the capitol building two years ago. The ACLU has sued to have it removed. A spokesman for the satanic group acknowledges that the effort is in part to highlight what it calls the hypocrisy of the state which allowed the Ten Commandment monument but is expected to fight the satanic display. Oklahoma legislative leaders have vowed to block the display. 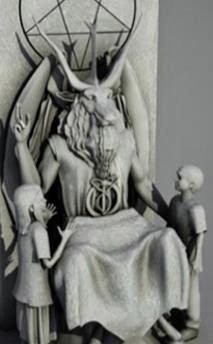 Satan is sitting in a pentagram-adorned throne with smiling children next to him. It claims to have raised half the funds necessary to construct and place the monument to the Prince of Darkness. Similar requests have been made at other capitols such as by Hindu groups and animal rights organizations. The most notable being the holiday display in the Florida Capitol by the Church of Pastafarians: The Flying Spaghetti Monster. It may be hard to embrace Satan, but come on, spaghetti is another matter.